Sailing, boating, Bay studies, sports, games, swimming, tubing, ropes course, giant swing, art, music, leadership, character/faith development. We offer a themed based camp for 3 – 5 year olds and specialty half and full-day camps for 6 – 18 year olds. Camps run from June 17th through August 9th. Specialty camp weekly sessions include: academic, athletic, creative arts, culinary, driver’s education, and many more. Mix and match to create a customized summer for your child. Before and after care options available. Camp dates are Monday, August 13, 2018 – Friday, August 24, 2018. Young media makers will produce a short documentary-styled film learning skills both in front of the camera and behind. Age Grade Range: 5-10 yrs. Campers receive Unique Challenging Experiences, Quality Caring Staff and Meaningful Life Impact. A camp week runs from Sunday until Friday evening and is packed with unforgettable fun. You can also experience RVR’s Day Camp as well. With over 60 years of experience, RVR’s time tested programs will create your campers best summer ever. RVR – The Adventure Starts Here! Campers receive Unique Challenging Experiences, Quality Caring Staff and Meaningful Life Impact. Each day runs from 9am – 5pm and is packed with unforgettable fun. You can also experience RVR’s Overnight Camp as well. With over 60 years of experience, RVR’s time tested programs will create your campers best summer ever. RVR – The Adventure Starts Here! Ramah Sports Academy has received generous startup funding from the Jim Joseph Foundation and the AVI CHAI Foundation through the Specialty Camp Incubator of the Foundation for Jewish Camp. 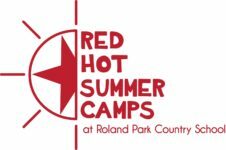 Offers camp activities found no where else – OGO Balls, Super Slide, many zip lines, high and low ropes courses, canoeing, kayaking, chairlift rides and much more! Day camp and special needs options available. Arts & crafts, games, hiking, nature studies, talent show, high and low ropes courses, swimming, rafting, campfires, and zip lines.